Anyone who read my blog of a couple of weeks ago, which attempted to satirise the General Dental Council’s recent online opinion survey, will probably not be surprised by the alacrity with which I have jumped on the opportunity to outline the following episode, which beset an unfortunate general dental practitioner a few days ago. The following events are true. The main action took place on Friday 12th October, 2018. The names of the “very professional” GDC employees have been withheld and the name of the protagonist has been changed. With a deferential nod of acknowledgement of the recent Royal Wedding, I will call the protagonist, who is very well known to me, Eugenie. I thank her profusely for granting me permission to relate her sorry tale to you. Eugenie being ‘exceptionally anally retentive’ (her words), she put in the appropriate pensions paperwork to the NHS Business Services Authority, informed her employer of her intentions and also the local NHS Area Team. The latter irritated her somewhat, since she received communications twice from the Area Team, asking her if she was taking ‘24 hour retirement’ – her Area Team being unable to fully comprehend and understand the phrase “taking full retirement.” The Area Team also asked twice if she could confirm she had told her ‘employers’ of her intentions – the Area Team also failing to remember the concept of self-employed associates. Being mindful that the GDC had taken over £900 quid off her earlier in the year for 12 months of exquisitely executed administrative services, Eugenie wanted to get her money’s worth and decided to retire on December 31st, 2018. Remember that date, it is important. That date was disseminated to all those that needed to know at the business end of dentistry, and she decided as a conscientious i-dotting and t-crossing individual, she would also inform the GDC of her desire to be removed from the General Dental Register on……come on, I told you to remember the date…yes, correct, the 31st December. Ten days or so after submitting her letter, the GDC sent a form back to her via email, for ticking and signing and posting. Eugenie was surprised to find that she didn’t have the final say as to whether she could remove her name from the Dental Register. It was up to the GDC to decide if she had a valid reason to leave and the letter advised her that she would be informed of the GDC’s decision on whether to remove her name, in due course. Eugenie speculated that this was possibly to prevent someone in a spot of forthcoming bother, from removing his or her name before the GDC had the opportunity to strike them off themselves. On the form, Eugenie was adamant that she made it clear she was removing her name due to retirement AND noted on the form, her desire for that procedure to be carried on after….come on…..anyone….31st December, 2018. Skip forward to last Friday, 12th October. Eugenie was on an ‘early’ and by 9.45am had seen a bridge prep, a filling and two examination patients. It was the custom at the corporate practice Eugenie works at, for reception staff to hand letters to dentists at lunchtime, or earlier if the letter looked like it needed early attention. On Friday, the head receptionist handed Eugenie an unopened letter marked ‘General Dental Council.’ Eugenie nearly tossed it behind the computer monitor for later perusal, suspecting it was a letter confirming her removal at the end of the year. But something, fortunately, made her open it, because it was a letter from a ‘Registration Operations Officer, dated 10th October informing Eugenie that she had been removed from the Dental Register as from 9th October – TWO DAYS EARLIER. This mean that Eugenie had not only worked illegally as a dentist that day, but since the previous Tuesday. In other words, she had been, without her knowledge, breaking the law for four days, with, presumably, invalidated dental indemnity insurance. She was chilled to the bone when she looked at the GDC register online and found she definitely wasn’t registered. The practice manager was called. Eugenie and the manager agreed that she had to stop work immediately and her day was cancelled. The next patient, sitting patiently outside her surgery was fortunately very nice about the fact that she had wasted a forty mile round-trip, and happily rebooked. An understandably irritated Eugenie then rang the GDC and spoke to a ‘very nice lady’ who eventually told her that on neither Eugenie’s letter or returned form, had she informed the GDC of her retirement date. After Eugenie’s protestations that she knew she had put the date on both pieces of correspondence and following the GDC representatives’ ‘consultations with colleagues,’ the GDC lady apologised for the ‘mix up’ – she had apparently been ‘looking at another person’s letter’ when she had given the previous statement that there was no date on Eugenie’s correspondence. The GDC lady said that a member of the Registrations Team would ring her back. At 11.45am, still no joy, but this time the original person Eugenie had spoken to, answered the phone. She said the Registrations team were at that very moment looking into the matter and would definitely be in touch in the afternoon. By this time, Eugenie had decided not to leave the practice until the GDC had telephoned on her mobile, not wanting to be caught out having to take a call in the car. She said she spent the whole morning whining to colleagues and swearing a lot, as well as threatening the Registrations people by email with ‘action’ if she was not reinstated immediately. Around midday, a sheepish, very polite gentleman from the Registrations team telephoned Eugenie and apologised profusely for the mix-up and reassured her that she would be reinstated immediately and that her name would reappear on the register online, after midnight. What confused Eugenie was that this particular Registrations officer gave her a totally different explanation as to why the mix-up had happened. The first GDC worker said that the wrong registrant’s application had been accessed initially, while this Registrations man was saying that while Eugenie’s first letter to the GDC clearly stated the date of deregistration had been seen and noted, a second registrations officer had processed the GDC form without seeing the original letter and that form did not state the date. To Eugenie’s recall, she did date the form, the need for the date being critically important. On having an early finish on Friday, Eugenie fired off an email and recorded delivery letter to the GDC, asking for a scanned or hard copy of her returned form – a form they still had in their possession and had apparently accessed on Friday. This letter was mainly to check and reassure herself that she wasn’t actually going insane, so sure was she that she had put the date carefully on the form, which the GDC were adamant she hadn’t. Eugenie checked online on Saturday morning and found that her name was back on the Dental Register. So all’s well….or is it? I dunno, but I would have THOUGHT that if there was any ambiguity with regard to a dental professional’s intended removal, they would have double-checked with the practitioner. The GDC had responded to the original request for removal by sending the form to Eugenie, so surely that correspondence could have been looked at? After all, it is the most final act in a dental professional’s working life. The other question regards the first GDC worker’s statement that she had been looking at another registrant’s letter! What???? Another letter on Eugenie’s file belonged to another registrant? I mean, GDPR and all that, surely??? I REALLY hope you all took the opportunity to fill in that survey, and if you did, you give them Hell when they start the telephone survey. The Chancellor’s new rules for paying tax on incorporated company dividends will start at the new financial year in 2016. Along with many of the new regulations regarding taxes, these guidelines will muddy the waters of the existing system, which is also bewildering. Tax on any kind of income will vary depending on the source and whilst PAYE income tax is fairly straightforward, requiring little or no independent calculations, dividend tax payments are an entirely different matter. Basic rate taxpayers whose overall mix of salary and dividend income is £42,385 or less, typically do not pay any tax on their dividends. This is due to a tax-free threshold on income up to £10,600 and then the basic rate tax category applies to anyone earning up to £31,785. As they fit into the basic rate bracket, their tax due on dividends is 10% but this is then effectively cancelled out by an across the board 10% tax credit for dividends. Higher rate taxpayers, when the 10% tax credit is taken into account pay 25% in tax dividends. Additional rate taxpayers (total income more than £150,000 per annum), when the 10% credit is applied, pay just under 31% in tax dividends. However, a blanket £5,000 tax-free dividend allowance will be introduced which will replace the 10% tax credit. Any dividends paid out beyond that first £5,000 will then be taxed for basic rate taxpayers at 7.5%, for higher rate taxpayers at 32.5% and additional-rate taxpayers at 38.1%. Often, these changes will mean that the combination of dividend tax and national insurance contributions paid by practice owners and managers will pay a higher amount of tax on their dividends. For example, for a practice generating £100,000 annual profits and an owner drawing £8,000 as a salary and £73,000 as dividends, the amount of tax and national insurance contributions is going to increase from £28,900 to £32,937. Financial advice and accountancy services from experts who have been working for the dental sector for many years is exactly what you need to make sure your company profit offers the best return possible, whilst remaining legally compliant. Contact the friendly team at Lansdell & Rose today, to find out how to maximise the benefits of your hard-earned profit. Specialist medical and dental accountants Lansdell & Rose have a wealth of knowledge on a range of topics, from pensions to tax and record-keeping, and will help your business to grow. Visit www.lansdellrose.co.uk or call 020 7376 9333. In October 2012 a positive duty was placed on all employers to automatically enrol ‘eligible job holders’ in to a qualifying pension scheme. For most Dental Practices the relevant date for complying is likely to be early next year. If your Practice has not been given the relevant date yet, then you should expect notification imminently. A failure to comply with this duty can result in a penalty notice with a fine or enforcement action being taken against you. Enforcement action can consist of inspections being carried out on premises, which is yet another layer of bureaucracy for Dental Practices to comply with. In this Blog we take a look at who is eligible for auto enrolment; what is a qualifying pension scheme; and what you must do to comply with the auto enrolment requirements. We also explain the continuing duty placed on employers to re-enrol eligible job holders. All UK employers must comply with the auto enrolment requirements, even if you employ just one eligible job holder. The only exception to this is if the eligible job holder is already in a qualifying pension scheme. If you currently do not employ anyone but offer an eligible job holder a position following your relevant date, you will have an obligation to enrol them into a qualifying pension scheme from the start of their contract. Who is an Eligible Job Holder? Therefore it’s not just employees who must be enrolled; it is workers, agency staff, apprentices, and could even extend to some self-employed contractors. It will also cover permanent and temporary staff and those on fixed term contracts. Given this is a relatively new scheme, there is limited legal guidance as to what an eligible job holder, or worker, will be for the purposes of the Pensions Act 2008. However, the definition is similar to that found within the Employment Rights Act 1996. As such, we can look to existing case law to assist with the definition of a ‘worker’ under the new act. Interestingly, in the case of The Hospital Medical Group Limited v Westwood  EWCA Civ 1005 the Court of Appeal held that a GP working as a self-employed independent contractor for a private clinic was a worker. Dr Westwood held three positions. He was contracted by the Hospital Medical Group Ltd to perform hair loss surgery for its clients; he was referred to in marketing material as ‘one of our surgeons’. He also had his own medical practice which he worked at, and finally, he had a contract to provide advice on transgender issues with another separate clinic. When asked to determine whether he was a ‘worker’ at the HMG Ltd, the Court of Appeal held that there is a distinction between those who market their services independently to the world in general and those who are recruited by the principal to work as an integral part of the principal&apos;s operations. Whilst there was no requirement for the clinic to provide work and for Dr Westwood to accept it, the HMG Ltd had engaged Dr Westwood because of his skills. The patients were clients of the clinic not Dr Westwood. He was therefore recruited by the principal as an integral part of the principal’s operations. He was therefore considered to be a worker despite the flexibility of his role and the terms of his written contract stating he was a self-employed independent contractor. The parallels between Dr Westwood’s position and that of most self-employed Associate dentists are clear. As such it seems extremely likely that for the purposes of pension enrolment legislation, Associate dentists will be considered an eligible job holder working under a contract. As such they will need to be included in Practice’s qualifying pension scheme, unless of course they choose to opt out. Practices will also need to consider their company structure when considering who is eligible for auto-enrolment. In the case of Clyde & Co LLP and another v van Winklehof  UKSC 32 the Supreme Court held that a member of a Limited Liability Partnership was a ‘worker’ for the purposes of whistleblowing legislation. In this case Ms Bates van Winklehof was an equity partner receiving a profit-related element of remuneration and a guaranteed level of remuneration. Ms Bates van Winklehof made a complaint that a managing director had accepted brides. She was subsequently removed as a partner of Clyde & Co. Ms Bates Van Winklehof alleged this removal was due to a protected disclosure, a claim a worker is entitled to bring. The Court’s reasoning for finding that Ms Bates van Winklehof was a worker was because she could not market her services for anyone other than Clyde & Co and she was an integral part of their business. The result of this judgment means Limited Liability Partnerships will need to enrol their members into a qualifying pension scheme if they meet the other requirements, including the minimum qualifying earnings. If the member received drawings based on the company’s profits there is a question as to whether these would be classed as ‘earnings’. Although the definition of earnings is wide and we would recommend automatically enrolling members in any event to avoid litigation. The position would be different for partners in a traditional Partnership Agreement, as a partner cannot employ themselves and would therefore not been deemed a worker. As most Dental Practices are Limited companies, it is worth bearing in mind that a Director of a company is a worker only if he is also employed by the company under a contract of employment and there is at least one other person employed by the same company under a contract of employment. 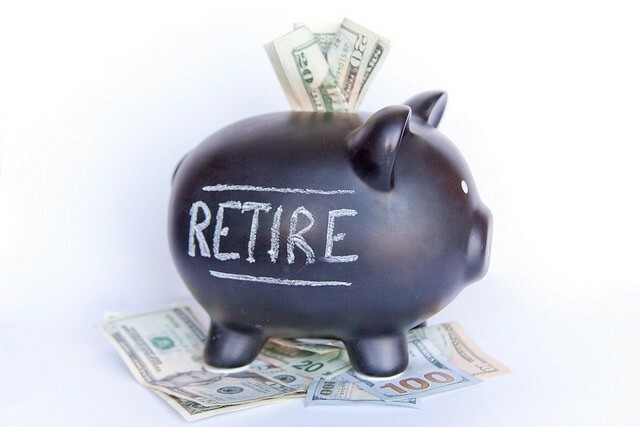 • Job holders who have received a winding up lump sum. What is a Qualifying Pension Scheme? A qualifying pension scheme is an occupational or personal pension scheme or a registered pension scheme that satisfies the quality requirements. You should talk to your current or proposed pension provider to get advice on this or you can find out further information here. The Government’s ‘NEST’ scheme is an automatic enrolment scheme, as is the NHS pension scheme. However, if the eligible job holder is not able to register in the NHS pension scheme then employers are under an obligation to find another qualifying pension scheme for them. An example of this would be someone who has retired, but later decides to return to work. If they are an eligible job holder still they will need to be enrolled into a qualifying pension scheme. Although they are not eligible for auto-enrolment, they must be made aware of the scheme and have the right to opt-in. If a non-eligible job holder opts into a qualify pension scheme the employer must make the minimum pension contribution, which at present is 2% of which the employer pays 1%. Similarly, these workers must be made aware of the pension scheme and their right to join. However, there is no obligation for an employer to make the minimum contributions for this class of worker. · Enrol any eligible job holder into a qualifying pension scheme if they do not opt out. To find your relevant staging date, click on this link. It has been suggested that the process can take up to 12 months to complete so we recommend preparing early. You need to write to employees within 6 weeks of the staging date. For an example letter to send to eligible job holders and an opt out form, click on this link. If a scheme no longer qualifies as a relevant scheme the employer must enrol the job holder into a relevant scheme. The Pensions Act contains specific duties for employers to safeguard their workers’ rights in connection with auto-enrolment. It should be noted that these safeguards apply regardless of whether you have reached your staging date yet, and will apply to current and potential job holders. Below is a brief outline of the employment protection safeguards currently in place; a more detailed look at these can be found here. Prohibited Recruitment Conduct. Employers must not ask questions or make statements as part of the recruitment process that indicate that an individual&apos;s application may depend on whether or not they opt out of auto-enrolment. This is enforced by the Pensions Regulator; it does not give rise to a separate claim in the Employment Tribunal by the individual. Inducements. This is any action which has the sole or main purpose of inducing a job holder to either opt out or leave a pension scheme, or inducing an entitled worker to leave a pension scheme. An example of this would be re-negotiating contractual terms at a lesser rate if the sole or main purpose is to take into account the cost of implementing pension auto-enrolment for that individual. Again this is enforced by the Pensions Regulator; it does not give rise to a separate claim by the individual. any requirement of the auto-enrolment regime applies to the worker, or will or might apply. If a worker does suffer a detriment then this will give rise to a claim that can be pursued in the Employment Tribunal. As above, re-negotiating terms could be seen as detrimental treatment. Alternatively, offering new workers lower rates to take into account the direct cost of pension auto-enrolment for that individual could be seen as a detriment. The situation may be different if pension auto enrolment causes your Practice financial hardship; this could potentially be seen as a valid reason to re-negotiate contracts. However, this will be fact sensitive depending on the circumstances of your business, so if you are planning to take direct action then you should seek specific legal advice. Automatic Unfair Dismissal. If you dismiss an employee and the main or principal reason for that dismissal is one of the three points highlighted above under ‘right not to suffer a detriment’ then that dismissal will be deemed automatically unfair and the employee can pursue an Employment Tribunal claim. This right only applies to employees; not workers. Whistleblowing. Workers are already protected from detrimental treatment as a result of blowing the whistle on their employer. If a worker makes a complaint to the Pensions Regulator and suffers a detriment as a result of such a complaint, then they will have protection under whistleblowing legislation. In the case of a worker this could include their contract being terminated; so whilst they may not have a right to claim unfair dismissal they may have a claim for whistleblowing. This is yet another financial burden being placed on small businesses. However, given the consequences of not complying with the law, it is important to know what you must do and when; ensuring you are prepared in advance will help take the stress out of implementing pension auto enrolment and help you plan for the future. Pension Auto Enrolment is a vast area of law and as such this Blog gives an overview of your duties. For more detailed information you can visit the Pensions Regulator website here. A review of the top five lenders on comparison website Moneysupermarket.com revealed they will not lend to newly self-employed dentists regardless of income. Chartered Financial Planners PFM Dental undertook the review and found that self-employed dentists without at least two years of accounts were barred from obtaining a mortgage. Jon Drysdale of PFM Dental commented: "We based our review on a first-time buyer wishing to borrow £180,000 for a house purchase of £200,000. The majority of dental associates would easily afford the repayments and they have virtually guaranteed job security. The good news is that specialist dental advisers are aware of lenders happy to accept mortgage applications from newly qualified associates." Around 1,000 dentists have now completed Foundation Training in the current academic year and the majority will start associate positions during August and September. The move to self-employment usually results in an immediate uplift in income, causing many dentists to think seriously about their first property purchase. Jon Drysdale is an independent financial adviser for Chartered Financial Planners PFM Dental. He specialises in pension and wealth management advice exclusively for dentists. Denplan has partnered with Aon Employee Benefits, the UK health and benefits business of Aon plc, to offer its member dentists a simple pension auto-enrolment solution for their dental practices called ‘Littleblue’. The law on workplace pensions has changed, with all employers now legally required to automatically enrol certain staff into a pension scheme and make contributions. Although many dental practices won’t have reached their auto-enrolment staging date yet (the date at which an employer’s auto-enrolment responsibilities come into effect), it is important that practices are aware of the new regulations and start to prepare for the changes now. Aon’s auto-enrolment solution “Littleblue” will be able to support practices with a step by step pension solution which can significantly ease the burden of complying with the new pension regulations. “Littleblue was designed to help smaller organisations through the auto-enrolment process. That is now approaching its climax in 2016 with staging to reach levels in the hundreds of thousands every quarter from the beginning of the year. It is still an involved process in which the correct compliance is a key factor and small employers will welcome the streamlined approach that Littleblue offers. Denplan and Aon are also working together to organise a number of interactive Q&A webinars for member dental practices to address any concerns or issues practices may have with regards to the new pension regulations.